Do you think you have the talent to compete against the best photographers in racing’s most popular new sport? NWMotiv.com and Formula DRIFT are proud to give you that chance! Want to feel the rush of the best drift cars in the world passing you by? Or maybe take the next best photo and get yourself recognized? 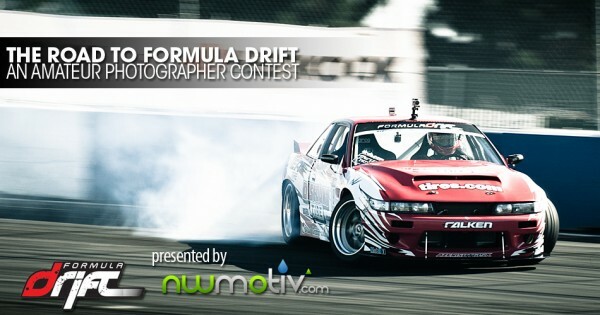 Starting now and for the first 4 rounds of Formula DRIFT, NWMotiv.com will give an amateur photographer the chance to shoot with us, trackside, at Formula Drift Round 5 – Seattle. Compete head to head versus other photographers in our four shooting challenges and the photographer with the most points after round four will be invited by us, NWMotiv.com, to shoot Formula DRIFT Round 5. It’s no secret that approved photographers for the drift series are being cut, be among the best and learn firsthand what it takes! Review the theme for the round and submit your photo before the deadline shown, one entry per person. Each photo will be judged on a points scale by NWMotiv Editorial Staff, Josh Mackey and Armin Ausejo. Additionally, these photos will be posted to Facebook for additional public votes. For every 10 likes a photo receives on our gallery, an extra point is added to the total. 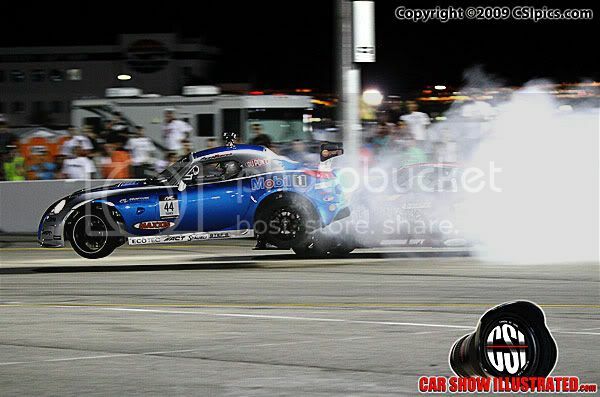 An Amateur Photographer as defined by this contest is a photographer that has not shot a Formula DRIFT/D1 event EVER. You MUST own a digital SLR camera. Each shot you submit must be your own; you must own the legal rights to it. You are not required to be from the Northwest, but you must provide your own transportation and/or lodging if you are traveling. You agree to allow NWMotiv and Formula DRIFT to promote your photos online through their website and/or social media outlets. Last, but most important, this is an invite, we reserve the right to revoke it, final contest winner will be held to the highest standards of professionalism, any acts that tarnish the image of either brand will be met with swift punishment.